In the article I wrote in the Beginning of Autumn, I said that if you do not pay attention to nourish Yin, moisten the Lung Visceral System, and promote fluid secretion in the body，there will be a series of upper respiratory diseases, and I’m sure you’ll notice more people are coughing and having sore and dry throat in the last few months. November 7 this year, marks the solar term Beginning of Winter (Winter Commences) (立冬), which means the northern hemisphere enters winter. Although Singapore is a tropical country with no winter or snow, there is a wave of chills and coldness in the air as it has been raining a lot recently. In the next few months, While there will be the usual hot and damp weather in Singapore, I’m sure the temperature will continue to decline and will probably be lower than the beginning of this year (2018). In my “TCM herbal Diet” class, I mentioned the importance of keeping health maintenance along with the seasonal changes. The Beginning of Winter (立冬) is one of the twenty-four solar terms reflecting the change of the season. It marks the start of cold season, meaning the start of keeping warm. When the weather turns cold, in TCM, coldness corresponds to the kidney visceral system, and the coldness will affect the kidney Yang element, so as the Beginning of Winter (立冬) arrived, we need to pay attention to the maintenance of kidney visceral system. Health maintenance approaches is to comply with the laws of nature, to nourish Yang, keep warm, nourishes the essence of the kidney. As the weather turns cold, a good way to preserve one’s health is to ensure adequate sleep, by sleeping early and waking late. Sleeping early can raise the Body’s Yang qi and keep warm body. Avoid early morning exercise, so as not to catch a cold. As I previously mentioned, TCM believes that we are part of our environment and are mutually affecting each other. As the temperature drops, the blood vessels in our body will shrink, blood will become viscous, and blood pressure will rise. When the weather turns cold, it correspond to a seasons of the high incidence of cardiovascular disease, and those who are suffering from high cholesterol, hypertension and diabetes need to be especially aware of the any anomalies that may occur in their body. The key to prevention is to stay warm. Many elders have said, “One should Nourish during the Beginning of Winter (立冬)”. 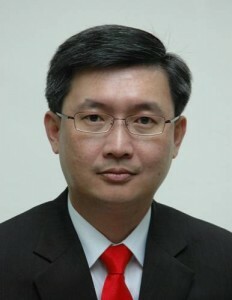 Speaking of Nourishment, we should note that we are all of different body’s constitution types, ways to nourish are different from person to person, “Nourishing when one is deficient, and Warming when one is cold.” Therefore, Nourishing should be done differentiated and targeted, and especially those who are suffering from diabetes, hypertension and cardiovascular diseases should be more careful, preferably seeking prior consultation, and follow by adopting the appropriate diet. In this article, as part of the health maintenance approaches for the solar term Beginning of Winter (立冬), I will introduce three medical diets (detail of the therapeutic effect of the ingredients are covered in the Herbal Diet Class) and massaging techniques of three acupuncture points. [Ingredients] black chicken, mushroom, black fungus, red date, ginger, cooking wine, salt. [Ingredients] angelica, rehmanniae, Mutton, ginger. Looking for Acupoints that help to warm the body. Shenque (CV 08） Acupoint is a longevity point. Every night before going to bed, warm your hands by rubbing and put them on the navel, and alternately press and knead clockwise and counterclockwise. It warms the abdomen, helps keep one healthy, relieve symptoms such as abdominal pain, edema, dysentery and diarrhea. This point is where the Yang qi accumulates and is located at the midpoint of the back of the wrist. To stimulate Yang chi (SJ 04) acupoint, press it gently and over a period of time alternately, can help alleviate the symptom of coldness of hand. Those who are usually afraid of cold can often press this point. 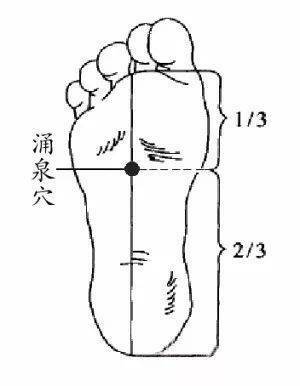 Located at the bottom of the foot, in the depression of the front of the foot, is the first point of the Kidney meridian. It is especially suitable for elderly women who are afraid of cold, suffering from kidney deficiency, lack of strength and lack of energy. A daily consistent massage on the Yong quan (KI 01) acupoints can increase the energy of people, strengthen the body and prevent disease. Those who have a massager or a vertical pulsator can have a regular massage every day. If you like the idea of giving your friends and family a hands-on healing experience, please send this link to them, we want more healing to go to more people in the world. Thank you for being a part of my health maintenance and leaning community. I look forward to share Acupressure massage techniques and medical diet methods with you and hope you’ll someday join me to learn even more by taking my class-room training or an online course or training in the convenience of your home .